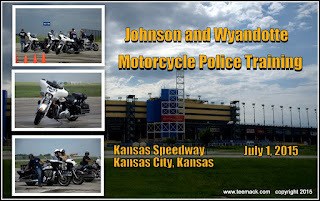 Johnson and Wyandotte, County Law Enforcement Motorcycle units had a training day at the Kansas Speedway in Kansas City, Kansas on July 1, 2015. 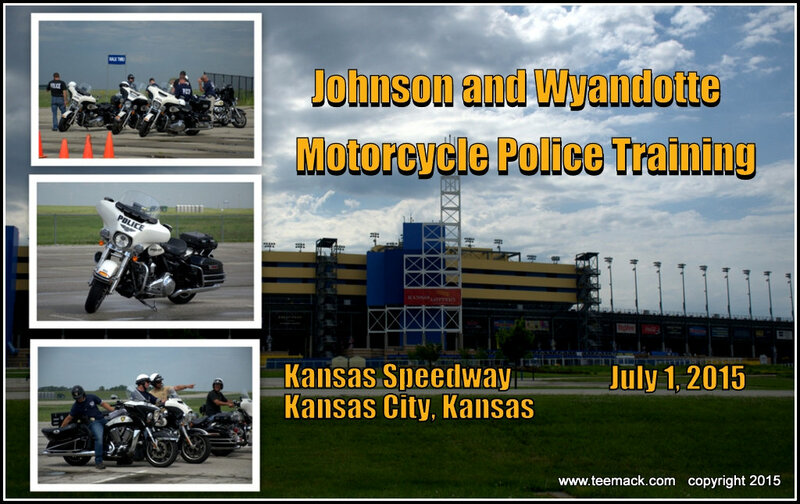 Motorcycle units from Lenexa, Kansas; Overland Park, Kansas; Kansas; Leawood, Kansas; and Kansas City, Kansas Police Departments were in attendance. The monthly training day is designed to keep the Motor Officer skills at it's highest level. Click here to view photos of the training day.